Halle Butler, photo courtesy of Miranda Barnes via "The Cut"
Halle Butler's (BFA 2008) recently published second novel The New Me and her 2017 debut novel, Jillian, which landed her a place on Granta's list of Best of Young American Novelists, were the subject of an article in the Cut. 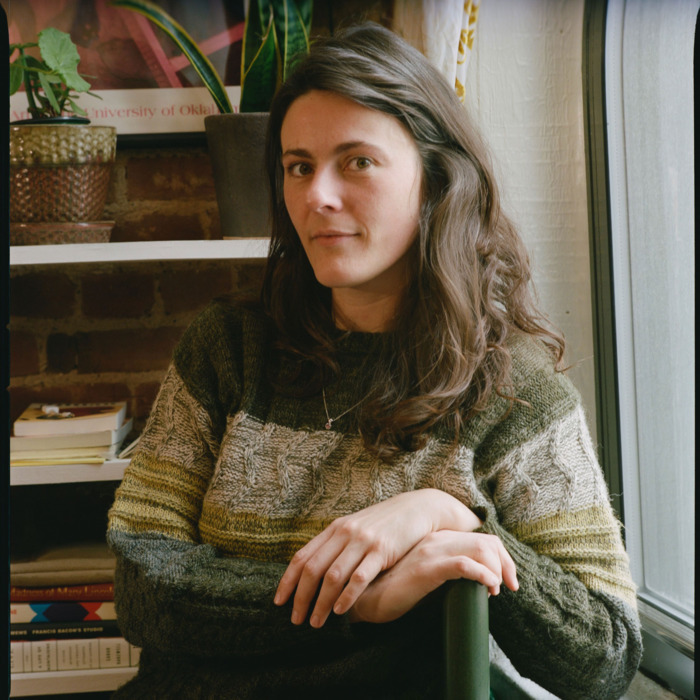 In the interview, Butler who is a native of Bloomington, Illinois, discusses her loathing of money and status, and eschewing a traditional career for numerous menial jobs which have given her the freedom and brain space to pursue writing, among other things. When asked what she was reading while writing Jillian and The New Me, Butler mentions Charles Bukowski, Charlotte Brontë, James Joyce, and the TV show Columbo. "But she also notes that art school—and its emphasis on learning to 'observe and relax and evoke accurately'—perhaps influenced her more than reading," reports the publication.